Many of you will remember Roger Wotton’s excellent Grant Lecture at the end of last year. On 3rd July, Roger chose the Grant Museum to launch his new book Walking With Gosse: Natural History, Creation and Religious Conflicts, which is to be published in August. Philip Henry Gosse was an eminent Victorian Natural Historian and Roger outlined his achievements and the importance of his profound Christian faith in all he did. Henry believed in the literal truth of The Bible and, in a book entitled Omphalos, he tried unsuccessfully to resolve the conflict between geological time and the account of Creation in Genesis. The book was not received well by either the scientific or religious communities and it should not overshadow Henry Gosse’s many other fine books. Most people know about Henry as a person from his son Edmund Gosse’s Father and Son, which details the painful relationship between the two men. Edmund did not share the rigorous religious approach to all things that Henry felt was essential and this led, inevitably, to conflict. Of the two, Edmund is the better known and he was knighted for his services to the Arts, becoming very much part of the Establishment. 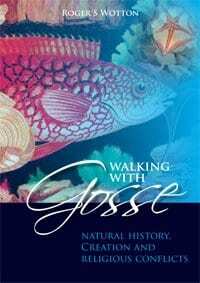 Walking With Gosse examines the many contributions to Natural History made by Henry Gosse and his story is interwoven with that of Edmund and with autobiography. The book concludes by discussing the ways in which the issues presented have relevance to debates which are taking place today: on creation and on problems with religious differences. However, it also stresses that we can all share in the wonders of Natural History, whatever our beliefs. So why launch the book in the Grant Museum? One of the admirers of Henry Gosse’s work was E. Ray Lankester, who succeeded Robert Grant and who further built up the Museum of Zoology. It was Ray Lankester who asked Edmund Gosse to write the first biography of Henry Gosse, before he produced the much later Father and Son. Roger began his talk by making this connection and it brought the story of 150 years ago to life. It’s what the book achieves. Please visit http://cliopublishing.org/category/natural-history/ to find out more.